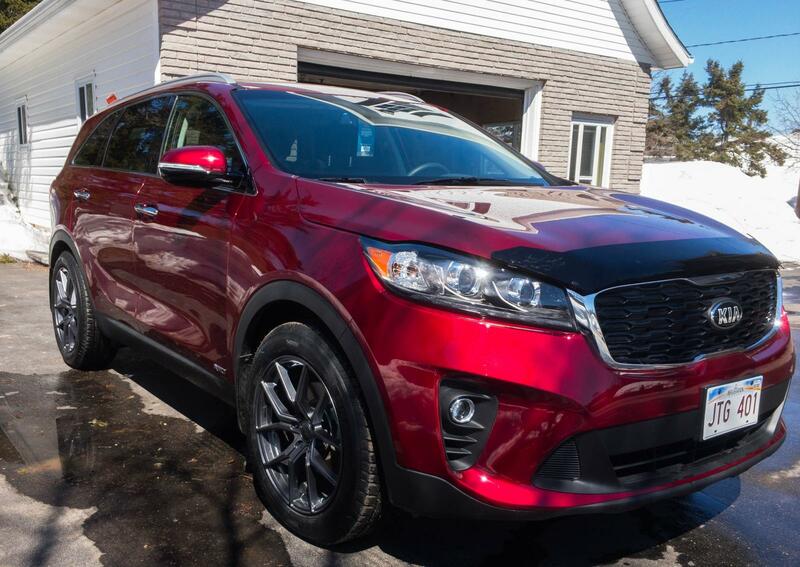 After a horror story with our 2014 Sorento, we recently changed to a new 2019 model. I took delivery of my LX V6 model with winter tires on the factory 17" wheels and bought 19" RTX FF10 wheels for summer. Surprisingly, they retail for approximately the same price as their regular cast wheels, but the FF10's are flow formed (stronger, lighter). 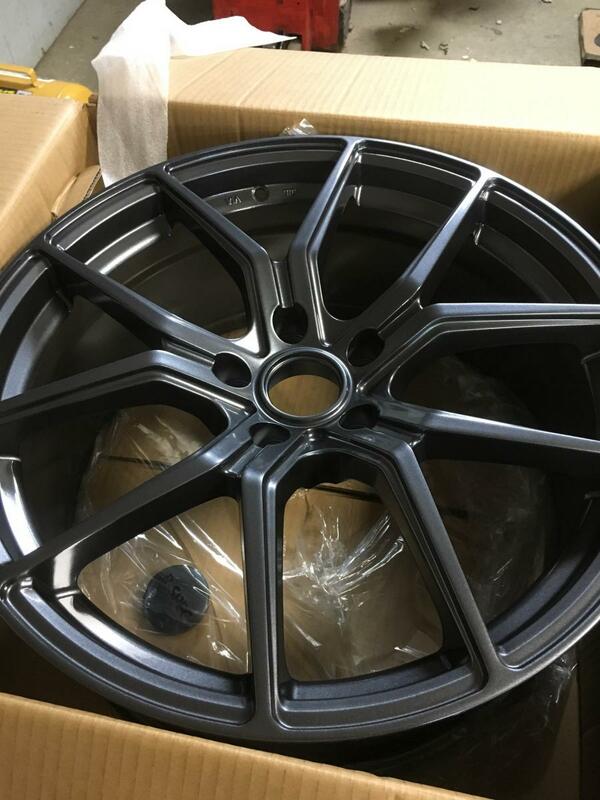 The factory 17" wheels are 7" wide and have an offset of 49.5mm. Most 19" are 8.5" wide, and the FF10 have an offset of 38mm. An online calculator determined that they would extend 30mm (1.18") to the outside compared to the factory wheels. I was worried that it might look funny, but they are almost flush with the body. It's my first time buying aftermarket wheels, I'm really happy, I think they look terrific. I put 235/55R19 tires, the same size than on the SX trim. Those wheels do look nice. How's the ride quality compared to the 17"s? Good point. I forgot to mention that the ride quality was also a concern. The sidewall for 235/65 is 6" vs. 5.1" for 235/55 (17" vs 19") which isn't that bad. 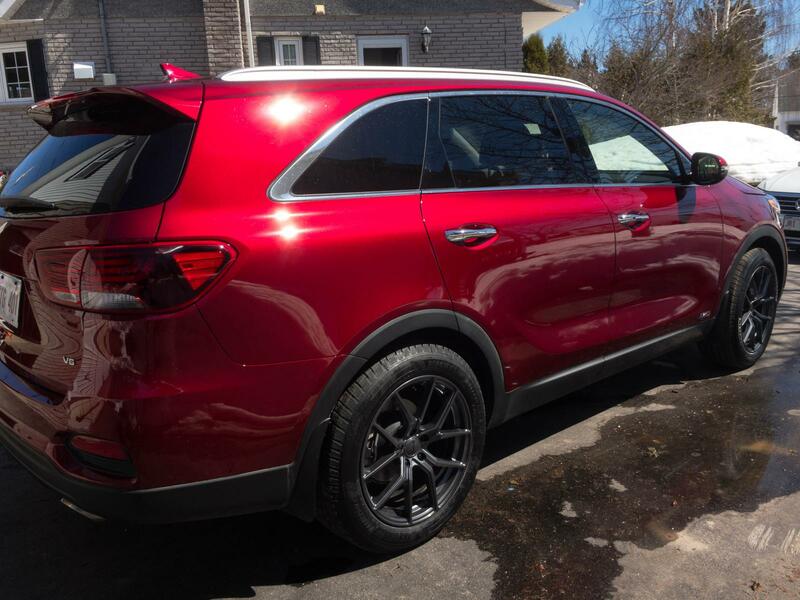 I am coming from a 2014 Sorento SX (with factory 19" wheels), so it's hard to say if the 2019 simply has a smoother suspension or if the 17" really made that much of a difference (probably a bit of both). 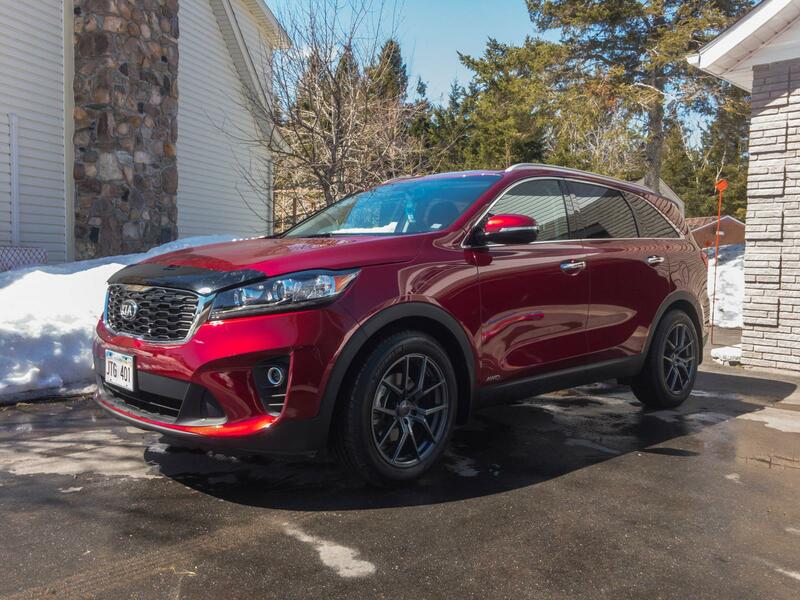 Although I didn't like the look of the 17", it sure felt like our new Sorento was smooth riding. 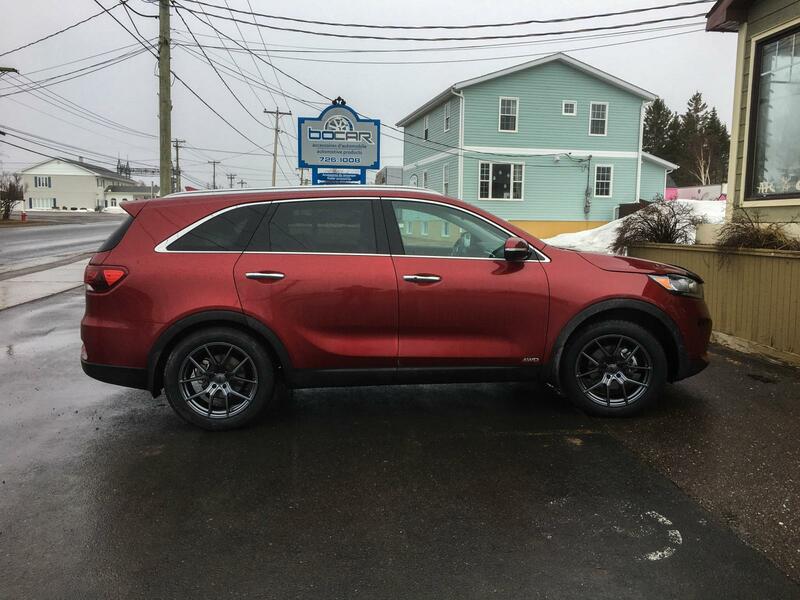 We also took delivery with winter tires, which are usually softer than all-season tires. I have only driven approx 100 KM on the new wheels and tires, so I'm still getting used to them. But for now, I will only say that I feel there is more feedback from the road (which can be good or bad). But I do not think it's harsh, it still feels like a Sorento. I'm typically not a fan of dark wheels, but these look sharp against the red. As long as you like them, that's all that matters. I think dark wheels are horrible looking but I come from a generation of baby moons and trim rings. To me the Sorento is such a generic car that anything which differentiates one from another can't be all bad. Curious on if the 2014 was a horror story, why you went with another Sorento?